It's Go Green Night at Constellation Field! 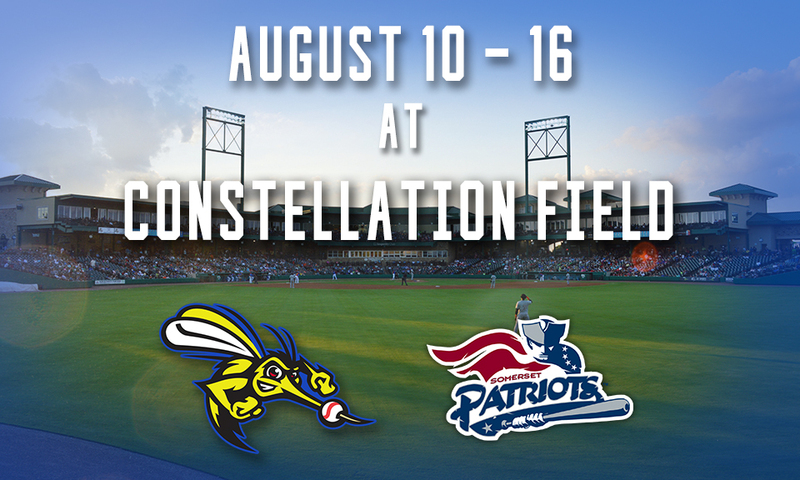 Join us for our Carabiner Mug giveaway courtesy of Constellation for the first 1,000 fans and stay for our Go Green jersey auction and post game fireworks! Head to the ballpark early for our Tracy McGrady Bobblehead giveaway courtesy of Assured Flow Solutions for the first 2,000 fans and watch Tracy throw out the first pitch! We'll also be giving away Tracy McGrady signed items throughout the game--don't miss out! Join us for Football Night at the ballpark featuring a Football giveaway courtesy of Fluor for the first 1,000 fans! It's also Sunday Funday, which means pregame catch on the field and player autographs as well as post game Kids Run the Bases courtesy of Dr. Larry Caldwell! Join us for $2 margaritas and dollar hot dogs in honor of Margarita & Dollar Dog Monday! It's also Military Monday courtesy of Navy Federal Credit Union, which means fans with military IDs get in FREE! We'll also be honoring residents of Sugar Land District 2 -- residents may use promo code District2 at checkout for $10 tickets! It's Two for Tuesday at the ballpark! Enjoy half-priced groups and buy-one-get-one field box tickets! Join us for another Kids in Free Wednesday at the ballpark--kids 12 and under get FREE admission! Don't forget to also bring in your canned food for our Fans for Cans drive to receive a voucher good for FREE admission to any remaining Wednesday home game! More info HERE. Enjoy $2 beer and sodas in honor of Thirsty Thursday! It's also Teacher Appreciation Night, which means fans with teacher IDs get two free tickets and $11 tickets for the rest of their group! Simply bring your teacher ID to our TDECU Ticket Office to receive your discount.